The exceptionally hard stone floor is perfect for use in areas of high footfall. Whilst it still requires sealing, the low porosity of Jura Beige limestone makes it a good choice for kitchens, halls, and living areas. The pale beige colour and tumbled finish mean it lends itself very well to designs which include timber, barn conversions or period restoration projects. The German quarry we buy from has never let us down. Our buying process allows for strict quality control in terms of perfect surface finish, preferential bed selection for colour, density and character of the stone. Now available from stock in 500mm x random length, other sizes are available as a special order from the quarry (approximate lead time 4-6 weeks). 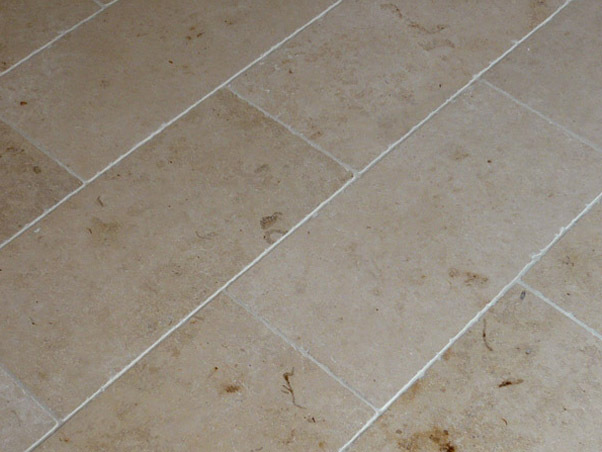 Please feel free to call to discuss Jura limestone or any other in our range. Alternatively you can order a free sample online.